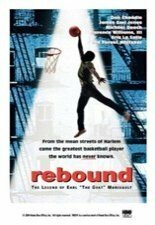 He was one of the greatest basketball talents to ever come from the sidewalk courts of Harlem, but Earl "The Goat" Manigault's abilities couldn't save him from the brutal realities of life on the streets that kept him reaching the pros. Gritty sports drama, based on a true story, stars Don Cheadle, James Earl Jones, Loretta Devine, Forest Whitaker, and Eriq La Salle, who also directed. 111 min. Standard; Soundtracks: English Dolby Digital stereo, Spanish Dolby Digital stereo.